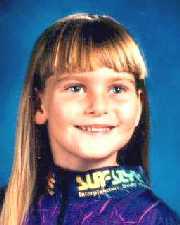 Chrystal Didonato disappeared on August 19, 1995 from Harsens Island, St. Clair County, MI. On June 21, 1998, Chrystal’s mother, Michelle Abraham, was arrested in Ohio and charged with parental kidnapping of Chrystal and her younger half sister, Jessica Abraham. Both girls were returned to their respective fathers unharmed. Posted on Saturday, February 14th, 2009 at 9:18 pm. Last updated on Thursday, April 14th, 2011 at 6:23 pm.